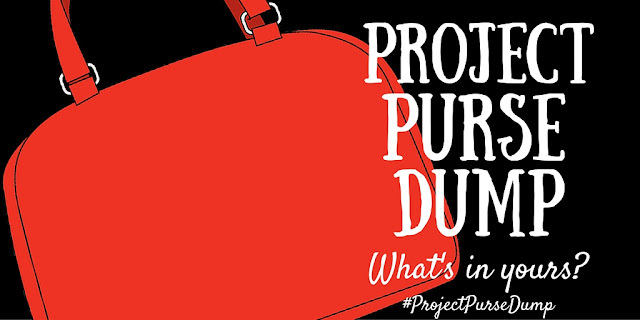 When I heard about #ProjectPurseDump, a part of me rejoiced and laughed out loud. 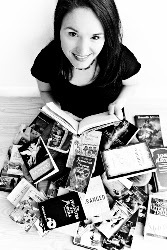 After all, what an original idea for a blog hop! 1 - Yogurt (usually two small tubs). I often eat on the run. Bad for you, I know, but mornings are hard and I don't usually sit down for breakfast. Instead, I cart yogurt around with me. It does grow warmish, I concede, but I like it that way. If it's too cold, it hurts my teeth. 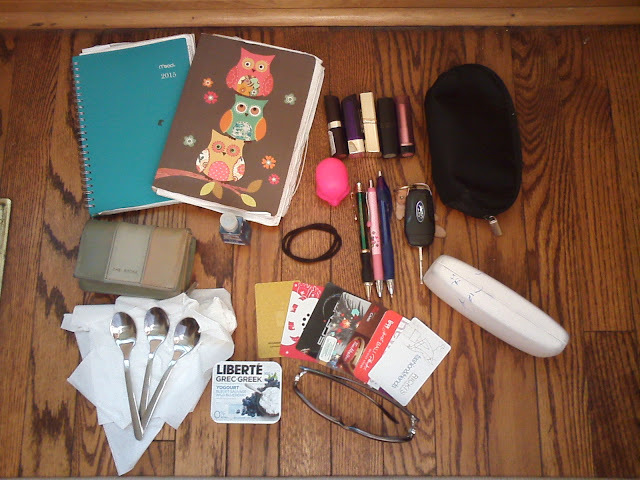 One of the yogurt tubs did once explode, covering the contents of my purse. It was gross. I did clean that mess, but I smelled blueberries for weeks.